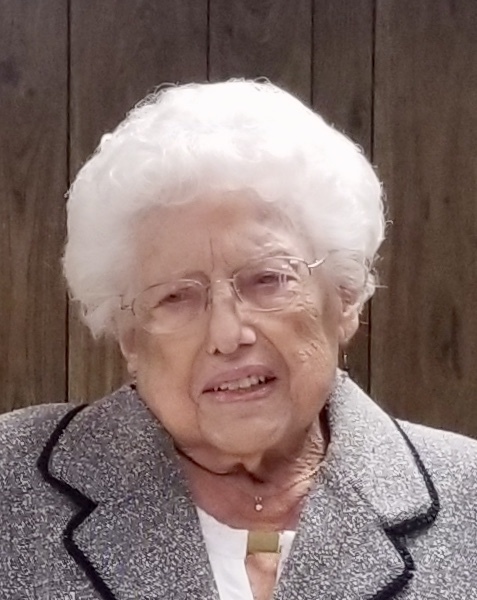 Obituary for Betty (Greb) Unruh | Lanman Funeral Home, Inc.
Frances Betty Unruh was born February 12, 1928 on the family farm south of Isabella to Ezra and Clara Greb. She attended school through the eighth grade. She married Orval Unruh on September 5, 1948. They lived in Fairview, Isabella, Southard, Hitchcock and Okeene. Four daughters were born to this marriage. Betty was a mother and homemaker for many years. When her girls were all in school, she worked at Buchanans, 5 Ms and Schalmo Assisted Living. She loved her flowers! Working her flower beds was her pastime during her retirement years. She and dad enjoyed traveling to Colorado and south Texas. When they stopped traveling, she devoted her extra time to her grandchildren and great grandchildren. She loved cooking for her family and taught her granddaughters her many cooking skills and recipes. We have had friends remark that what they remember most about her was her elegant, beautiful smile. She was preceded in death by her parents, Ezra and Clara Greb; husband, Orval Unruh; brothers, Delbert and Milton; sisters, Capitola and Cleora; sons-in-law, Terry Hicks and Norm Knight. She is survived by daughters, Kay Phillips and husband, Fred, Linda Hicks, Shelly Dunham and husband, Frank, Dawn Camp and husband, David; sisters, Mae Reames and Beverly Kopf; brother, Verlin Greb and wife, Lloydene; grandchildren, Jason and Erendira Phillips, Jennifer and Todd Reed, Travis and Johna Hicks, Amber and Daniel Lewis, Norman “Buddy” and Allyssa Knight; great grandchildren, Jaired, Brista and Autumn Phillips and Autumn’s fiancée, Dawson McLemore, Garrett, Jaycee and Ethan Reeves, Clarissa Reed, Kyle and Kadence Lewis, Mariah and Nathan Rackley, Ashleigh and Trevon Hicks, Ainslie Knight; great-great grandson, Hazen Rackley; many nieces, nephews, other relatives and friends. The funeral for Betty Unruh will be Monday, February 4, 2019 at 1:30 p.m. at the First Christian Church in Okeene. Viewing will be Sunday, February 3, 2019 from 2:00 p.m. to 4:00 p.m. with family present. Arrangements are by Lanman Funeral Home, Inc. of Okeene. www.lanmanmemorials.com Facebook: Lanman Funeral Home, Inc.
Memorials may be made to the Okeene Hospital Foundation through the funeral home.